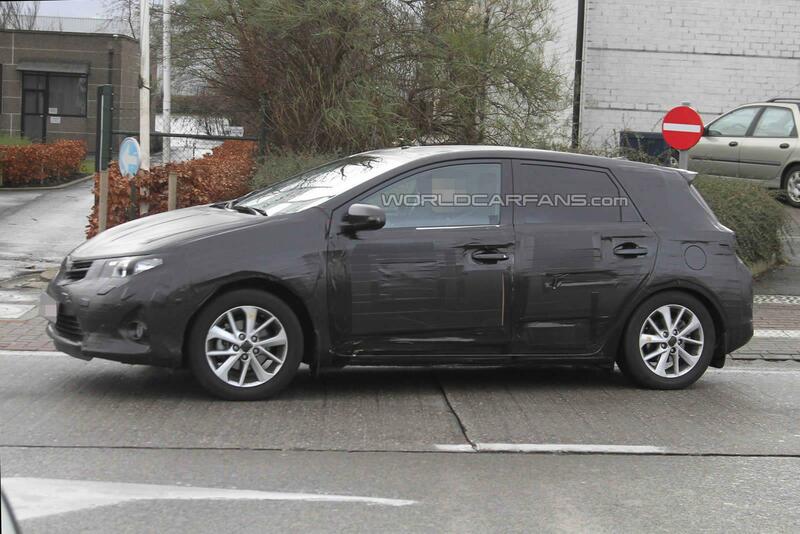 New spy photos of the Auris/Corolla replacement have surfaced, giving us a better look at the new model. Spied in Germany, this prototype is covered in heavy-duty black tape, revealing more of the overall silhouette. 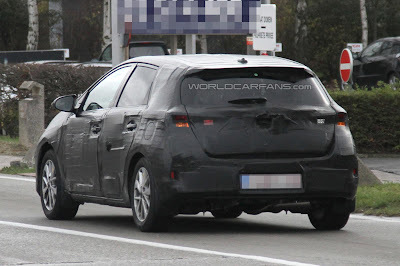 Although the tape disguises many of the styling characteristics, the car boasts a sleeker, sportier side profile compared to the outgoing model. 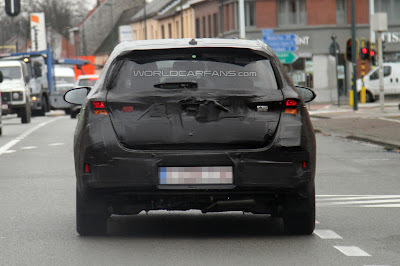 Following the Toyota-BMW alliance, a 1.6 and 2.0 litre BMW-sourced diesels will be complimented by a series of petrol powerplants. Although a petrol-electric hybrid model is likely to be offered, a petrol-electric plug-in hybrid is rumoured. 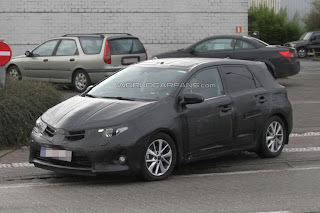 The front-wheel-drive compact car will launch in Spring 2013.